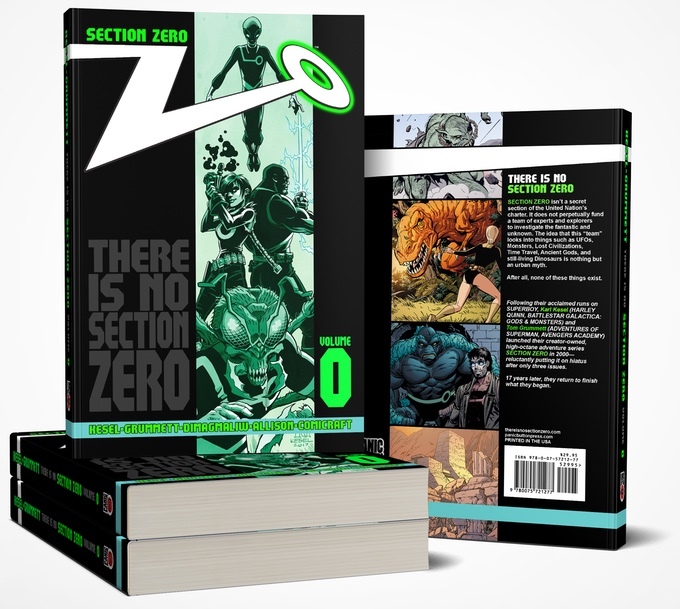 With a goal of $62,000, Kesel and Grummett want to produce a 150-page Section Zero collection which would include all the previously seen Section Zero content plus 60+ pages of new material. It would also include sketches, commentary, a gallery of characters by artists like Chris Samnee and Walt Simonson, among others, and an intro by Kurt Busiek. They aren’t quite halfway there at this point, so head over to Kickstarter to see they are offering. For $10 you can get a PDF of the book, which is a pretty good deal. The campaign ends June 1.